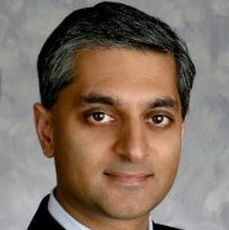 Akamai Technologies, a global Internet content delivery network, has appointed Kumud Kalia as its chief information officer (CIO). Kalia was previously an executive vice-president (customer operations) at Direct Energy, an energy and services business operating in USA and Canada. He has also been the vice-president and CIO of the business markets group of Qwest Communications International; CIO for Dresdner Group in North America; president at Lone Tree Executive Solutions; and VP at Qwest Communications. Kalia will now be responsible for leading the global strategy, development and operations of the applications and infrastructure for Akamai's business. He will report to Paul Sagan, Akamai president and CEO. Akamai handles billions of daily web interactions for companies including Audi, NBC, and Fujitsu and organizations like the U.S. department of defence and NASDAQ. "Kalia's expertise includes managing high performing IT and operations teams for companies experiencing rapid growth and requiring significant scale across multiple business units," said Sagan. He will also create an efficient user experience for Akamai's customers, employees and partners.